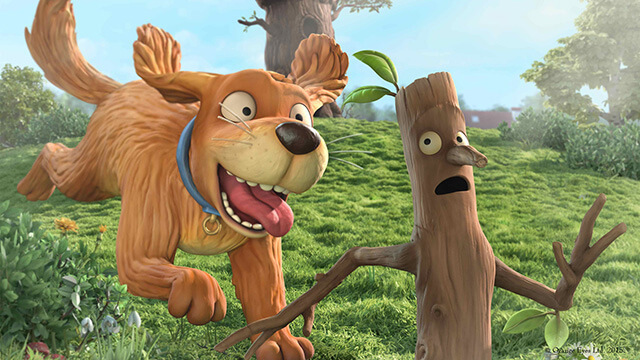 Stick Man premiered on BBC One and was the fourth most watched programme on Christmas Day with 9.27 million viewers and 41% audience share.The film features an all-star voice cast with Martin Freeman as Stick Man, Hugh Bonneville as Santa, Rob Brydon, Sally Hawkins, Jennifer Saunders and Russell Tovey. Stick Man is a fabulous treat for the whole family. The film is available to buy now on DVD and download. Produced by Magic Light Pictures (the team behind Oscar nominated animations The Gruffalo and Room on the Broom) the half-hour animation is a courageous family adventure based on the wonderful children’s picture book written by Julia Donaldson and illustrated by Axel Scheffler. The music from the film was composed by René Aubry and is available to buy.